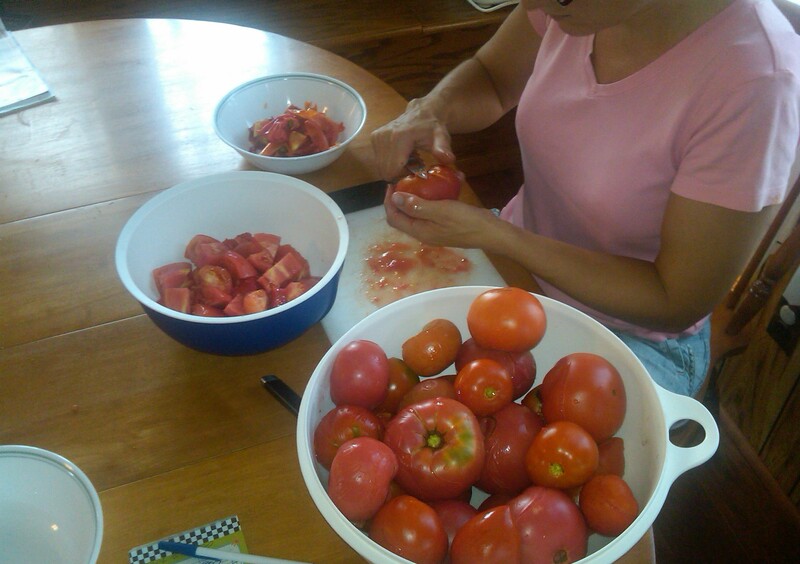 Here’s a snapshot of what we do with our maters. It is a true family effort – or I don’t know how I could do all. 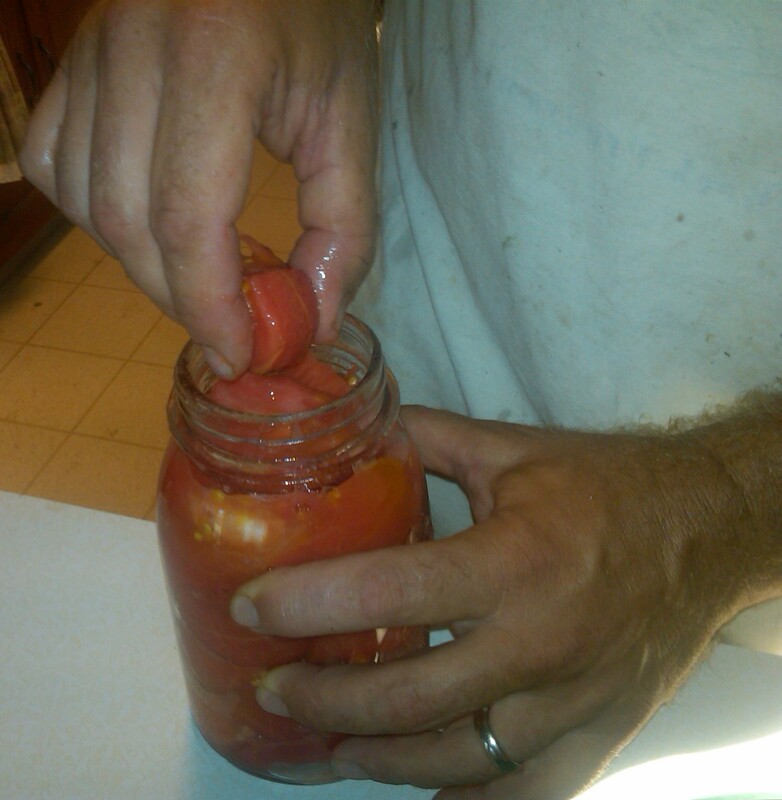 The biggest bulk of our maters are canned as whole tomatoes. 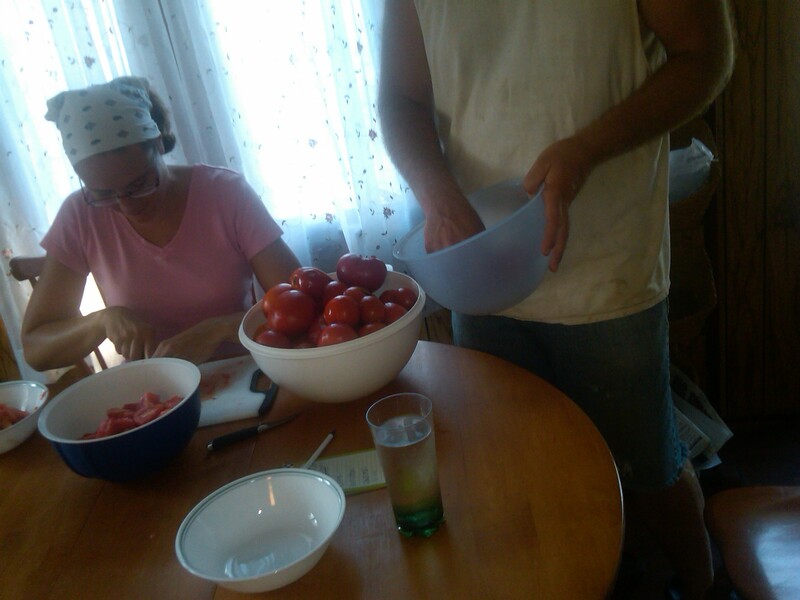 (We are big soup/stew eaters, and we like a marinara sauce once in awhile, too. 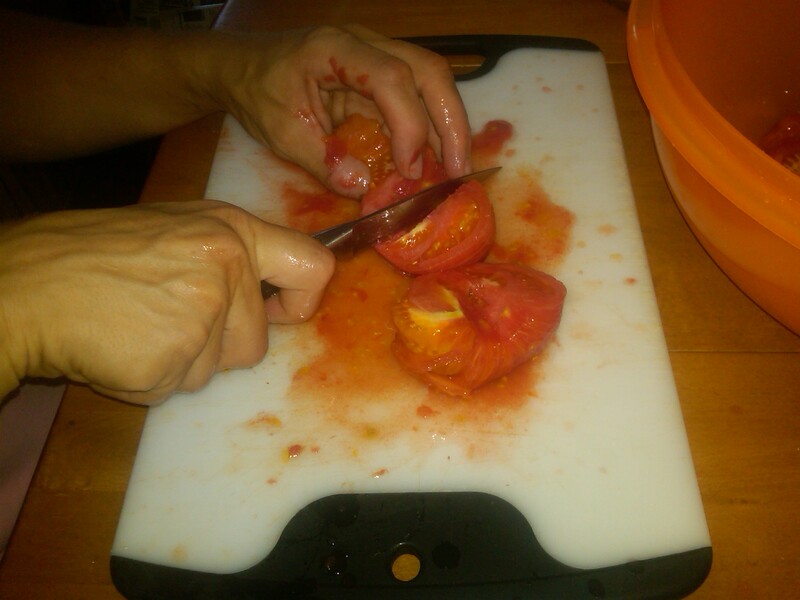 Whole tomatoes are perfect for those recipes.) 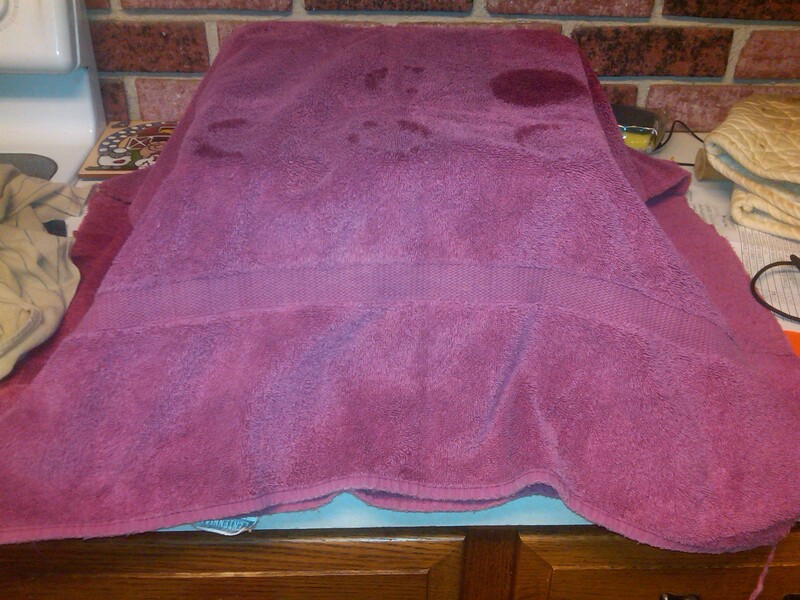 Once the maters have been washed, we drop them in boiling water until the skin breaks – usually not more than one minute. 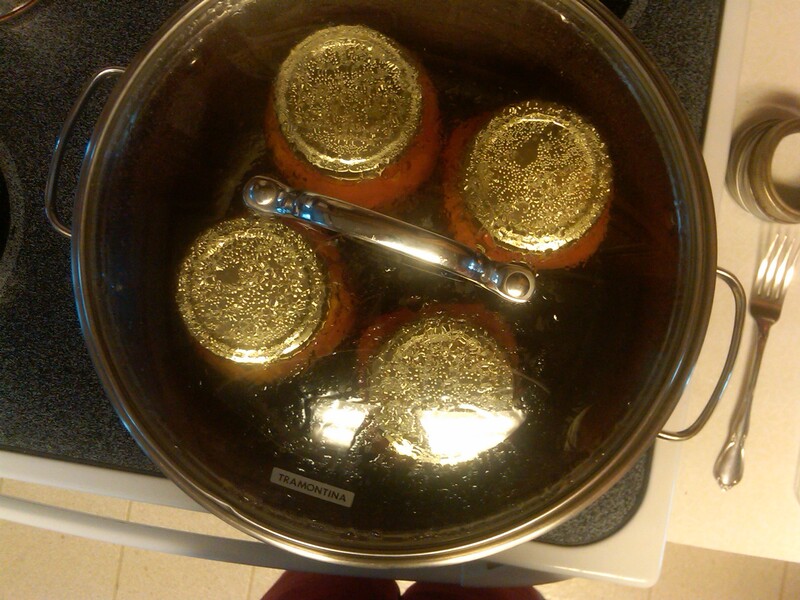 Then we plunge them into ice water for quick cooling. 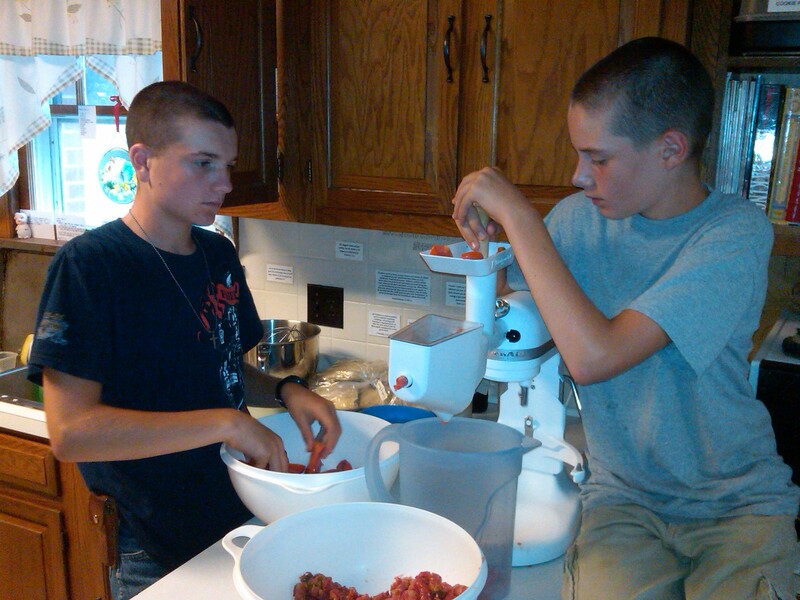 The boys like this job & usually bicker over whose turn it is. 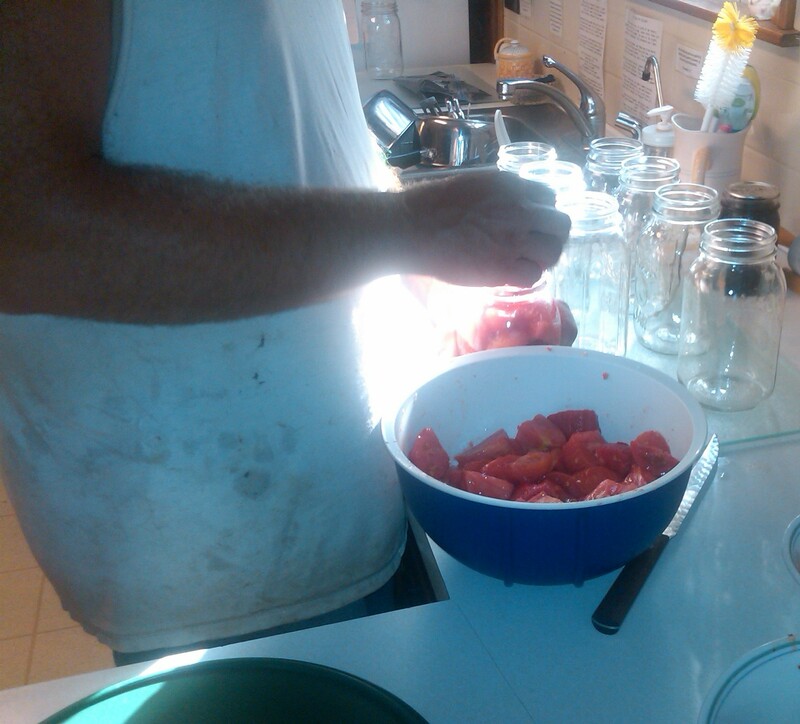 Last season we canned 8 quarts of our v(egetable)-8 juice and 22 quarts of tomato juice for ourselves + some for next door. 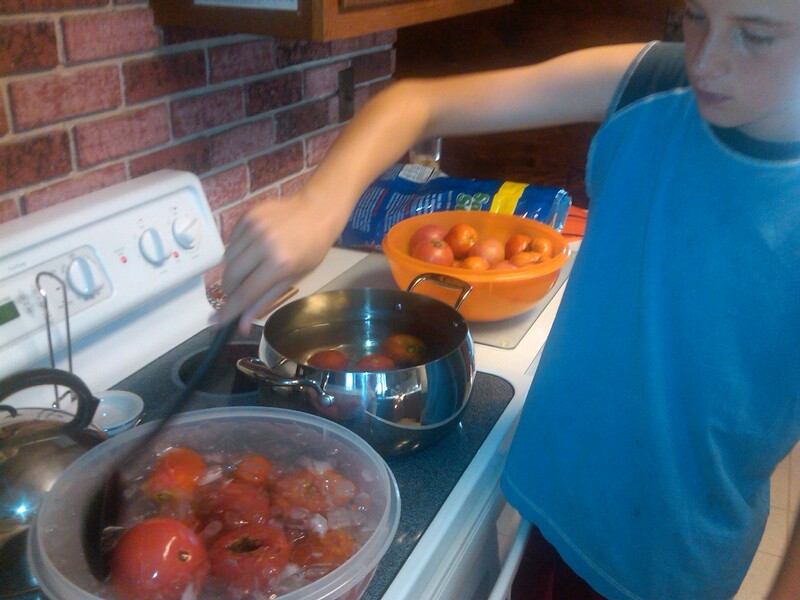 This entry was posted in Family, Farm, Garden, Nature, Recipes, The Boys on March 2, 2013 by Dawn Roberts. What a blessing to have helping hands! 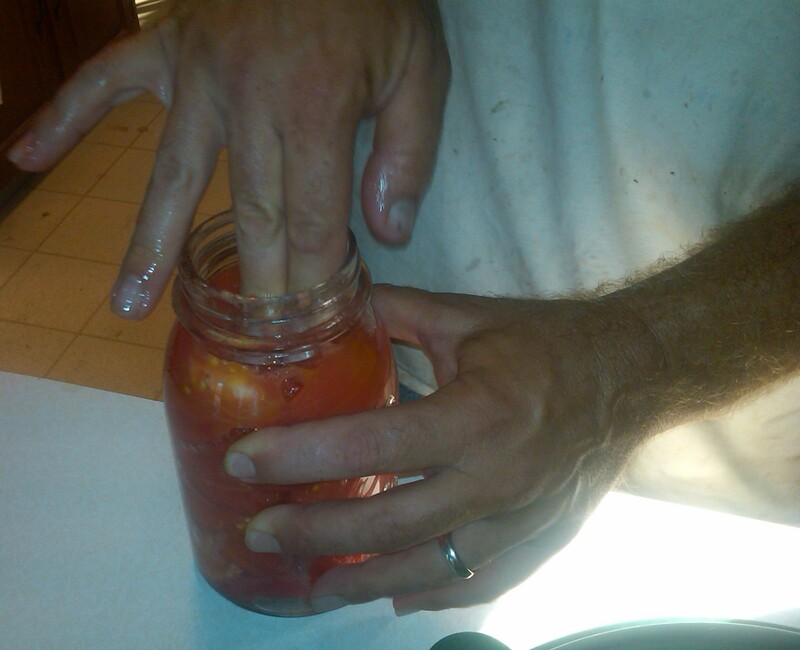 Great ideas for preserving tomatoes. 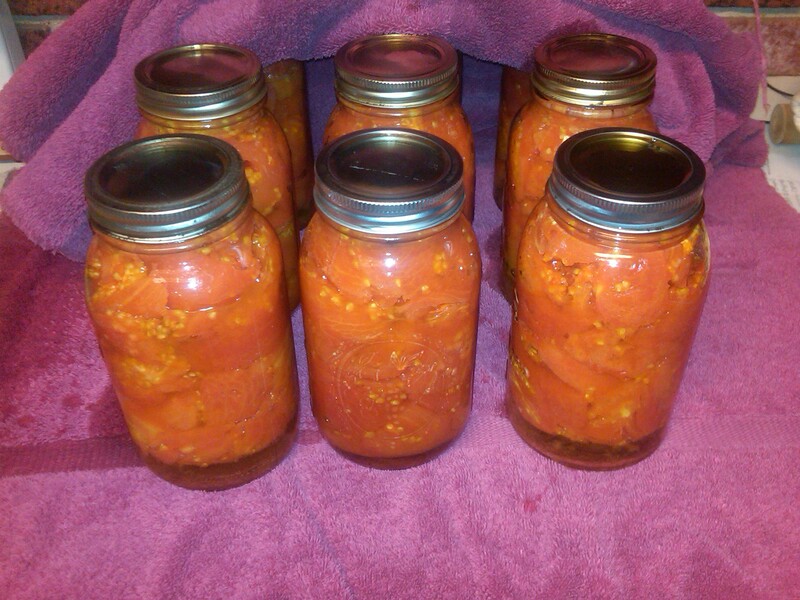 I usually get stuck in the rut of just canning them chunked and don’t bother getting creative. 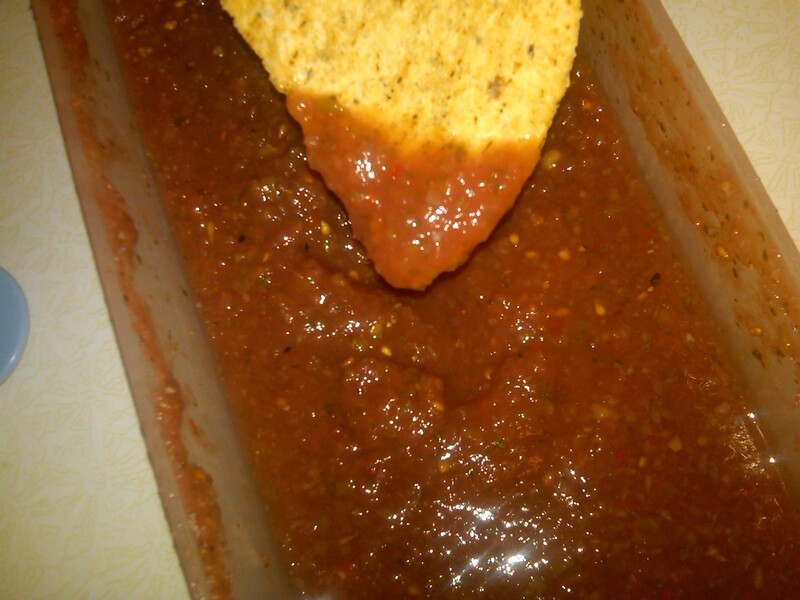 I also hadn’t thought of freezing salsa. Duh. I bet it tastes so much better than canned! 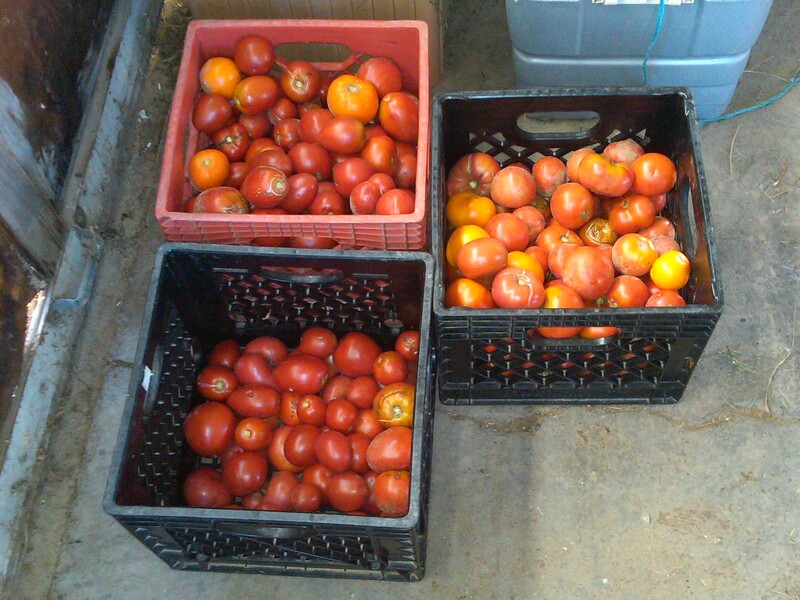 It looks like you had a terrific tomato haul.